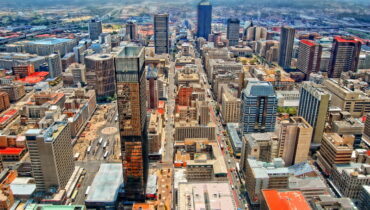 When you think of South African cities, the first two that come to mind are probably Cape Town and Johannesburg. Although these are the first two on this list, there also some that you may not have heard of, including Tshwane, Ekurhuleni, Mangaung, and Emfuleni. Join us as we take a quick look through South Africa’s top 10 cities. This municipality covers a rather large area in the Limpopo province. Nearly 93% of the population and are Black African, with 80% of the population speaking the Northern Sotho language. This municipality has seen some significant events. From 1899 to 1902 there was the Second Boer War, in 1960 it had the Sharpeville Massacre, in which the South African Police killed 69 people, and 1996 it saw the signing of the Constitution of South Africa. This municipality covers Bloemfontein, the Judicial capital of South Africa, as well as various other surrounding towns. It is a Free State. Named after the Buffalo River, this is another city created in 2000. It is known as an area for manufacturing, particularly in the automotive industry. On the shores of Algoa Bay, this municipality includes the city of Port Elizabeth, known as the “Friendly City”. It’s also worth noting that nearly 90% of its population are Christians. With a population just slightly less than that of Ekurhuleni, Tshwane was also established in 2000. However, it was later expanded in 2011 to include the Metsweding District Municipality. Nearly 20% of its population speak the Northern Sotho language. Although the name Ekurhuleni means place of peace in the Xitsonga language, nearly 29% of the city’s population actually speaks Zulu. It has a high altitude, with its highest section reaching 1772 metres. With a population of 3,661,911, this metropolitan municipality was created as recently as the year 2000. It contains the city of Durban, the busiest port in South Africa. The Metropolitan municipality of Cape Town contains not just Cape Town itself, but also other places including Mitchell’s Plain, Khayelitsha, and Blue Downs. It even includes the Prince Edward Islands which are many miles away in the subantarctic Indian Ocean. Although with some countries their largest city is also their capital, that is not the case here. 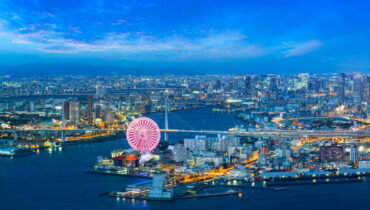 With a population of 4,949,347, it beats Cape Town by over 900,000 people. The municipality covers an area of 1,645 square kilometres (635 square miles) and includes many urban areas, the main two being Johannesburg and Midrand. Often shortened to Joburg by the people that live there, it is also known as the City of Gold due to how it started as a gold mining town.